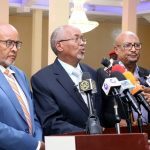 According to reports reaching Dhaymoole News the ruling party is to hold its executive committee meeting in Awdal regional capital Borama. This information was revealed by the second vice chairman of the party Mr.Ahmed Abdi Dheere and the party secretary general Mr.Hasssan Saeed Yusuf. 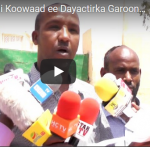 The shift of Kulmiye meeting to Borama has caused mixed feeling as some prominent personalities have voiced their opposition on the meeting being held there. Outspoken traditional king Mr.Osman Aw Mohammud Burmadow had called Borama the grave yard of political parties. He confirmed that the former ruling party UDUB lost her significance in Borama and that should not happen to Kulmiye.